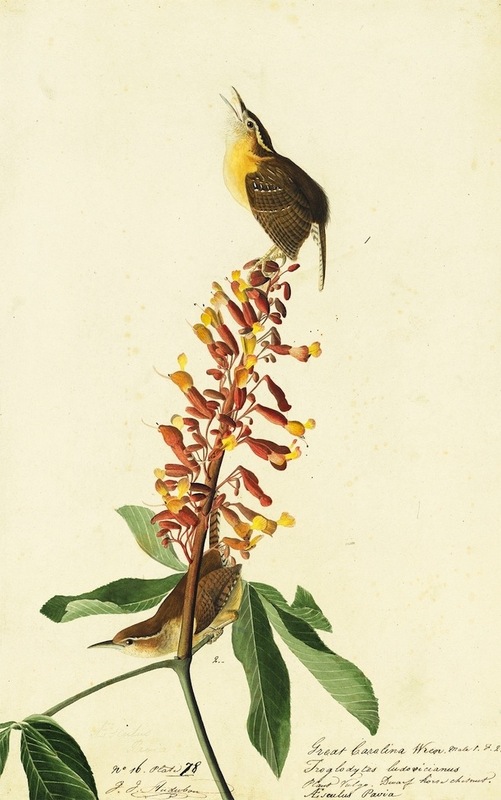 Image: Carolina Wren (Thryothorus ludovicianus), Study for Havell pl. 78, 1822. Watercolor, graphite, pastel, charcoal, gouache, and black ink with selective glazing on paper, laid on card; 18 13/16 x 11 3/4 in. Courtesy of the New York Historical Society. This entry was posted in Art (maybe) and tagged Audubon, Birds, painting by Sci Fi Engineer. Bookmark the permalink.